It’s the 30th anniversary of the iconic Street Fighter series. 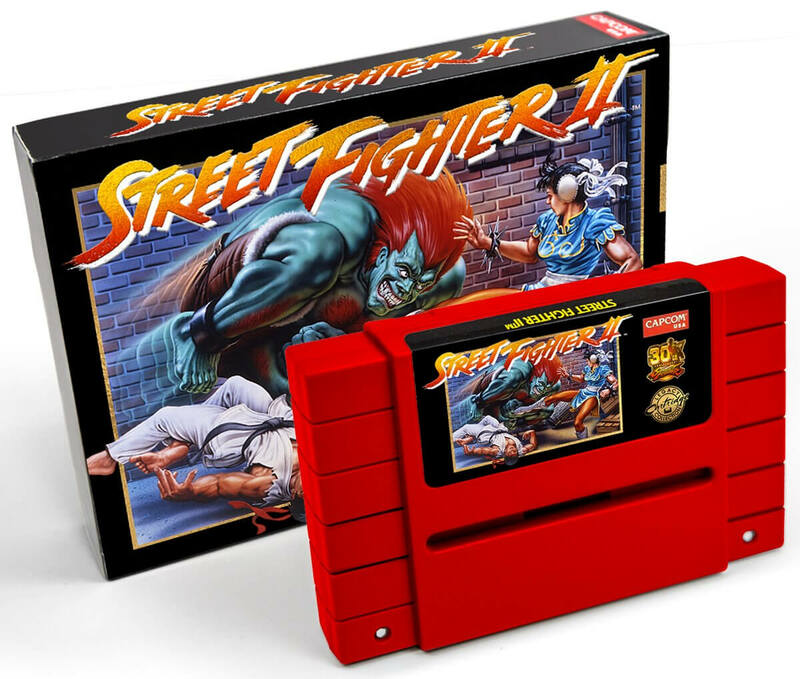 To celebrate, Capcom has joined forces with the folks at retro production company iam8bit to release a working SNES cartridge of Street Fighter 2. There are, however, a couple of significant caveats. Firstly, it costs $100; and, most importantly, actually using one in your aging console may cause it to catch fire. Heading to the cartridge’s page on the iam8bit website shows that there will only be a limited production run of 5,500 units, which could explain that high price tag. There’s also a pretty shocking warning beneath the description that states: “Use of this reproduction game cartridge (the “Product”) on the SNES gaming hardware may cause the SNES console to overheat or catch fire. The SNES hardware is deemed a vintage collectible, so please exercise extreme caution when using the Product and make sure there is fire extinguishment equipment nearby. Use of the Product is at the sole risk of the user." The cartridge is, of course, intended to be a collectible rather than something purchasers play - even though it is a functioning game. They come in two colors: Opaque Ryu Headband Red and translucent glow-in-the-dark Blanka green. You don’t get to choose the color yourself; orders are randomized. But with only 1000 units available, consider yourself lucky if you receive a green one. "As a result, we cannot be responsible for--nor could we possibly anticipate--the state or condition of vintage SNES compatible consoles on which this cartridge may be used. The warning is a necessary precaution due to these unknowable factors surrounding aging hardware. While this is a functional game cartridge, first and foremost we consider it to be a collectible item." If you’d like to buy one of the collectible cartridges, head over to this page, where it is available for preorder and expected to ship sometime in November. If you do still own a working SNES and are feeling lucky, remember to take precautions before playing.